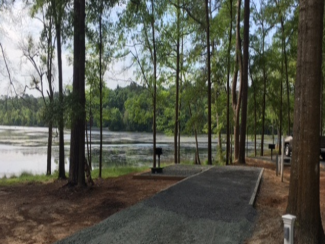 Located outside Oglethorpe, 482-acre Whitewater Creek park has been deeply rooted in the history of Macon County since the early 1800s. 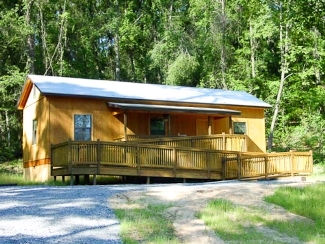 Whitewater Creek Park is open year-round, and offers excellent camping, pavilions, picnicking, fishing, hiking and cabin rental. 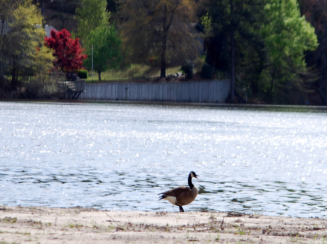 The park is open from 7 a.m. until 10 p.m. and the office is open from 8 a.m. until 5 p.m.
For reservations and information call 478-472-8171. If no answer, call 478-244-2475 or the Macon County Commissioners at 478-472-7021. 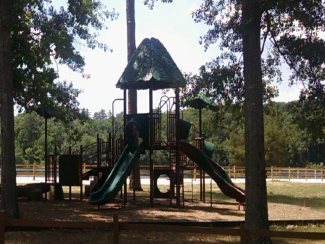 Visitors to Whitewater Creek Park can participate in several outdoor activities. 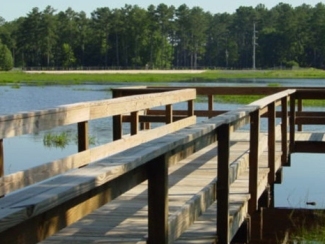 Guests can hike the paths surrounding the park while gaining an up-close perspective of Georgia's natural forests. Be sure to bring your fishing pole if fishing is your sport. 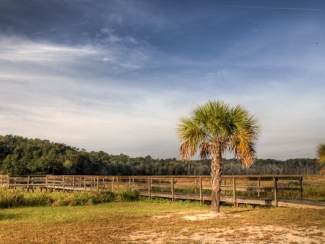 Georgia offers excellent fishing and Whitewater Creek Park provides a small pier from which to fish. There is an enclosed pavilion with a full kitchen to accommodate large groups of picnickers. 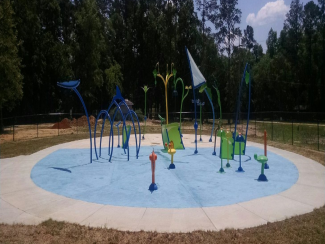 Families can also enjoy picnicking at a small picnic table or find an open spot on the grass to enjoy their meal. Visitors who wish to stay overnight may take advantage of Whitewater Creek Park's RV hookups, tent sites and cabin rentals. Camping/RV hookups -The park offers 48 tent and trailer campsites with water and electric hookup, picnic tables and grills. A dump station is also available on the grounds. There is one comfort station with showers and flushing toilets. Pavilions - An enclosed pavilion has a full kitchen, restrooms, air conditioning, tables and chairs. A smaller screened pavilion has a long counter with a sink, restrooms, ceiling fans, tables and benches. Cabins, pavilions and two open shelters may be reserved. 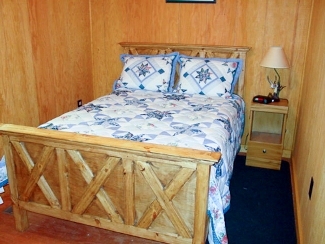 Cabin Rental - Five rustic non-smoking cabins each with two bedrooms, one full bath, central heat and air, fully-equipped kitchen, front porch with ceiling fans.